*Fresh paint in kitchen & great room! 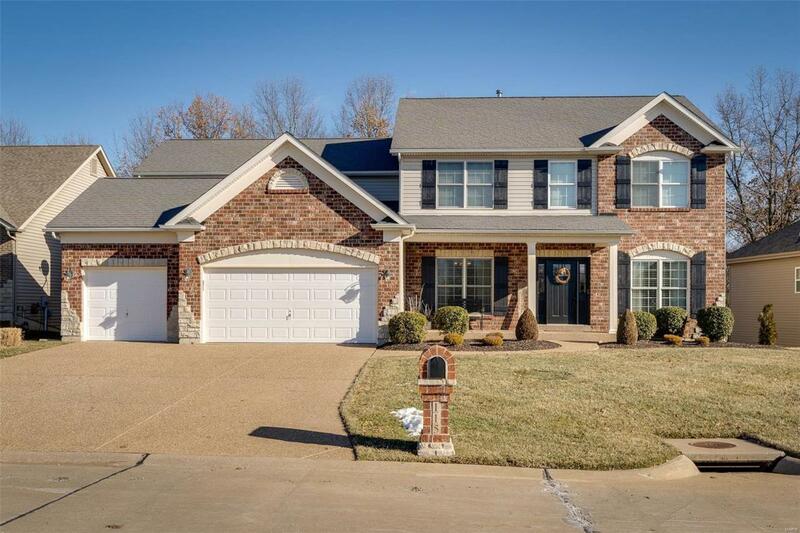 * Great family home in Sterling Crossing w/ beautiful brick & stone exterior. Finished, walk-out LL w/ 5th bed, full bath, rec. rm., office/den, wet bar, storage, & theatre rm. (theatre chairs & speakers stay). Gleaming hardwood floors in kitchen & breakfast rm. Wine bar w/ refrigerator installed (2017). Center island w/ seating, 42 cherry cabinets, walk-in pantry, double oven, built-in cooktop, tile backsplash, & granite counters. Coffered ceiling in dining & master. Master walk-in closet w/ custom built-ins. Master bath w/ custom oversized walk-in shower, separate tub, his & hers adult height vanities, remodeled 2018. Ceramic tile in all bathrms. & laundry (2018). Separate mud rm. & laundry rm. w/ built-in cabinets. 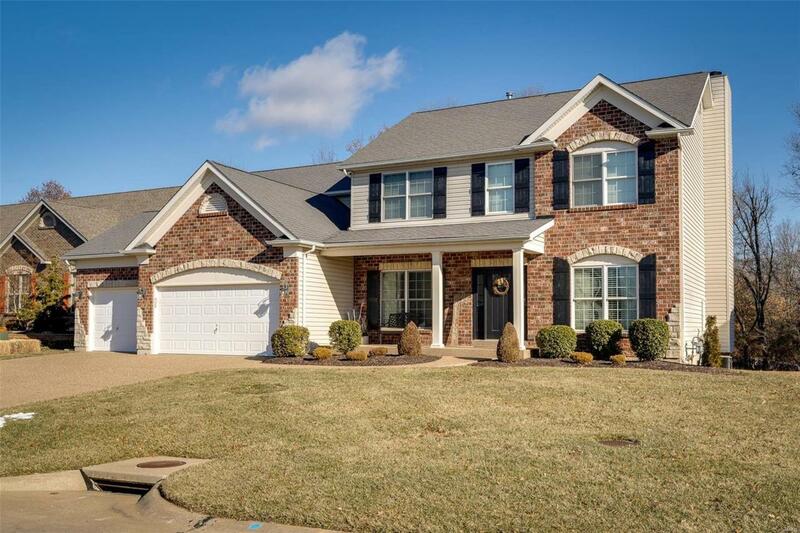 Crown molding, built-in bookcases, zoned/dual HVAC, gas FP, Jack & Jill bath. Sliding glass doors w/ built-in window shades walks out to cedar deck w/ pergola (2017). Prof. landscaping & sprinkler system. Private yard backs to trees. 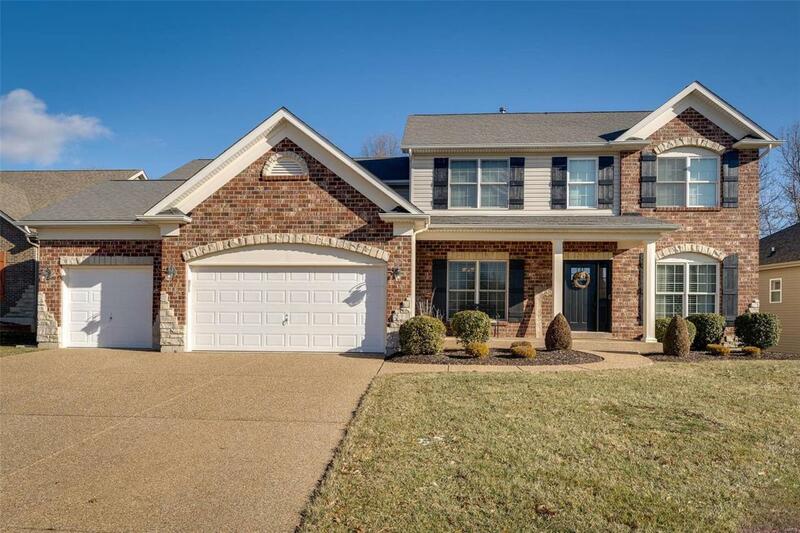 Listing provided courtesy of Bratton Realty. Listing information © 2019 Mid America Regional Information Systems, Inc.